From the place you want, you will go to the memorial of Mauthausen near Linz. 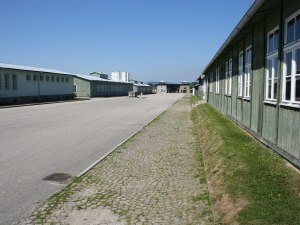 Once in Mauthausen, you will visit the old concentration camp and you will see historical monuments such as the career "Wiener Graben", the dead stairs "Todesstiege" and an overwhelming exposure telling the tragic historical events about the Shoah which presents objects from this period and documentary videos. After your visit to the memorial of Mauthausen, your licensed guide will accompany you with pleasure to Linz or any place of your choice in Upper Austria. It is not recommended to visit the concentration camp of Mauthausen for children of less than fourteen years old. Linz Tours is a service presented by tour operator City Tours, a company specialized in the organization of tailor-made touristic travels all around Austria. You will find complementary information on Linz Tours and City Tours by clicking on the button "legal notice" located to the left. If you are interested, you can also get additional information about our partners and other tours offered by City Tours.